Lavička is on a busy street in Prague’s Žižkov area. 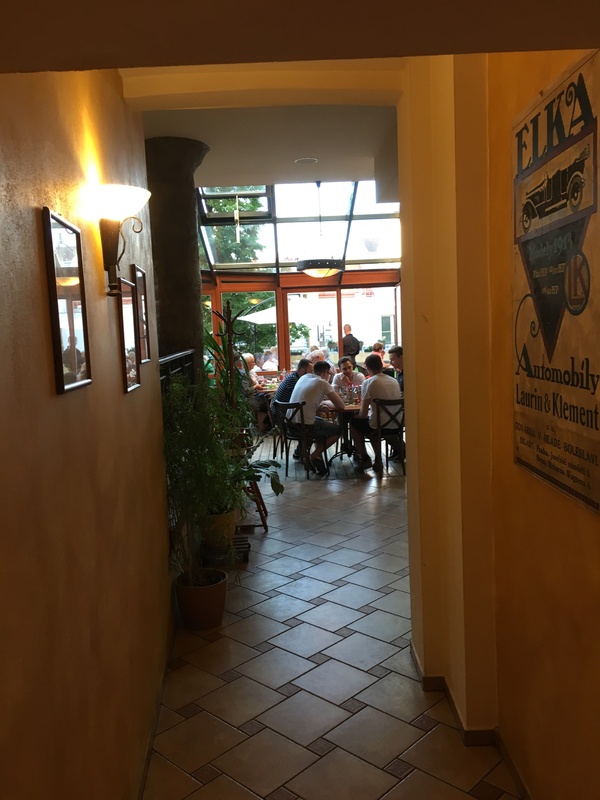 The Žižkov has a reputation for being a bit rough with plenty of late-night bars. But the area has undergone urban renewal and isn’t really rough – although there are plenty of late-night bars. 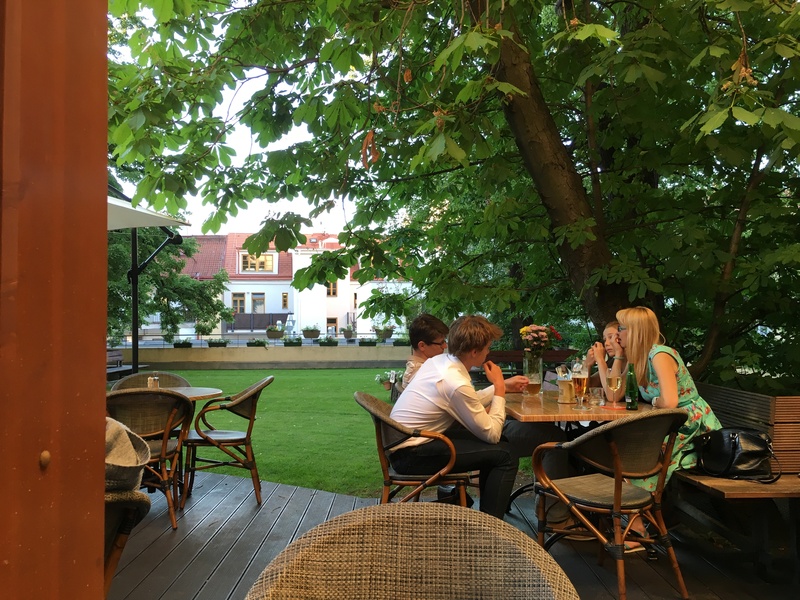 Lavička isn’t a late-night bar, but instead quite a decent pub restaurant, with a large garden at the rear. 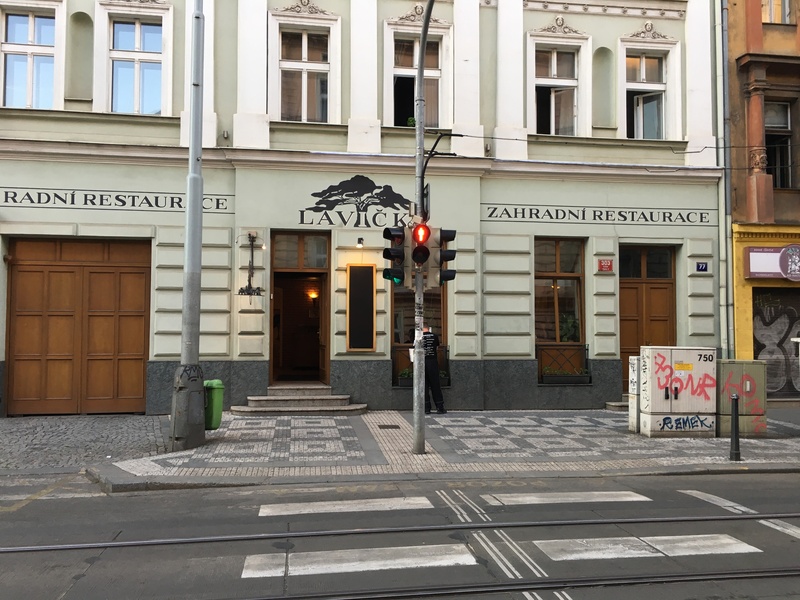 They actually call themselves ‘Lavička Zahradní Restaurace’ – Lavička Garden Restaurant. It’s just a short walk down the hill from the tram stop Lipanska (5, 9, 15, 26). There weren’t any bugs flying around and I was able to eat outside. The menu is a mixture of Czech classics, some pasta and a few ambitious dishes. I had a Bacon Cheeseburger with onion rings, coleslaw and fries (230Kc) and a couple of half litres of Bernard beer (38Kc per). It was decent burger and beer – just what I needed before I went to a nearby late-night pub (Vlkova 26) with plenty of drinks and no food. Service was friendly enough, maybe a little slow but they were quite busy. I wouldn’t make a special trip, but if you find yourself in the Žižkov then you’ll be okay here.